First Point Projects to build the latest mixed-use development in North Penrith. Situated in western Sydney, this project will comprise up to 450 medium-density apartments and 5,500 square metres of retail and commercial space. It will also include a 2,500 square metre supermarket, up to 3,000 square metres of specialty shops, restaurants, a medical centre, gymnasium and a childcare facility. 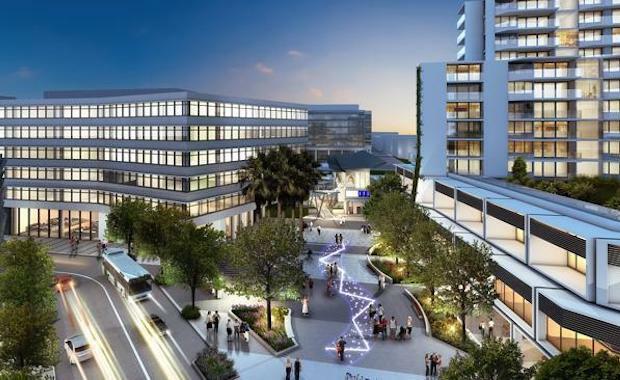 The Thornton area and this new development form part of Penrith Council's plans to revitalise, re-energise and re-imagine the City Centre: the capital of the thriving New West. St Hilliers Group Executive Chairman Tim Casey said in an interview conducted by The Australian that the project would focus on design, and be built in seven stages over four years. “It will offer choice, character and convenience for residents and for those who live and work in the Penrith area,’’ he said. “It is a hub of inner-city living, brimming with excitement and great places to eat and shop, all located within one of western Sydney’s growth areas. Penrith Mayor Ross Fowler OAM said, “We are pleased that St Hilliers and First Point have grabbed that idea and are running with it and this development will be a great asset to the City". $3 billion of investment capital was already mobilised in development projects and the new development at Thornton will add an exciting new dimension to Penrith's future. The project will include 10 residential buildings between three and eight storeys in height, with the opportunity for taller buildings if necessary.